Normal for Norfolk, that’s me. Most school holidays the Cultural Wednesday family answer the siren call of the East and head home. 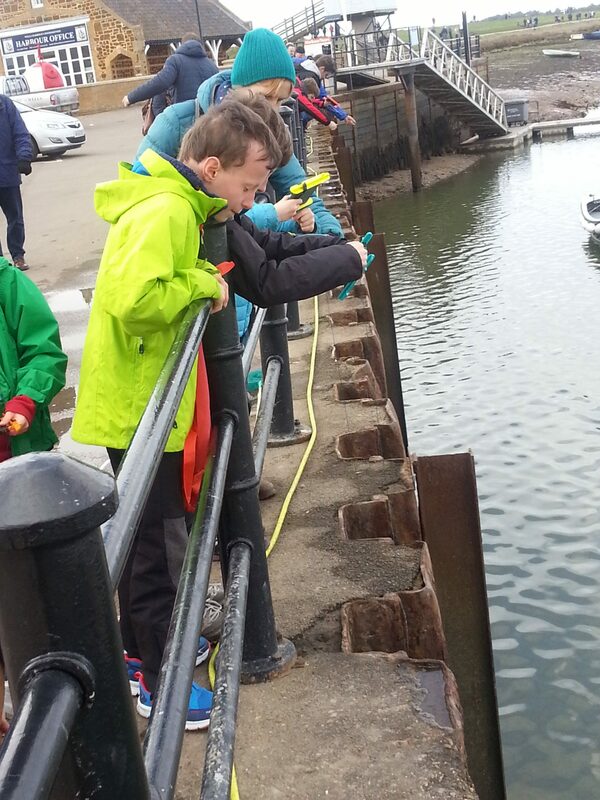 This time saw us meeting up with friends for a spot of crabbing in Wells-next-the-Sea on the North Norfolk coast. Lunch came first, fine drizzle and one too many cold al fresco lunches on the North Norfolk coast with these friends drove us into the Crown Hotel for a swanky sit down lunch. Fine dining completed it was time for the traditional pursuit of the East Anglian coast: crabbing. Does it happen elsewhere? All you need for this is: a bucket of sea water (and it must be sea water as the crabs will die in tap water); a long piece of string with a weight and a large safety pin on the end; a long-handled net; and of course some bait and the smellier the better. 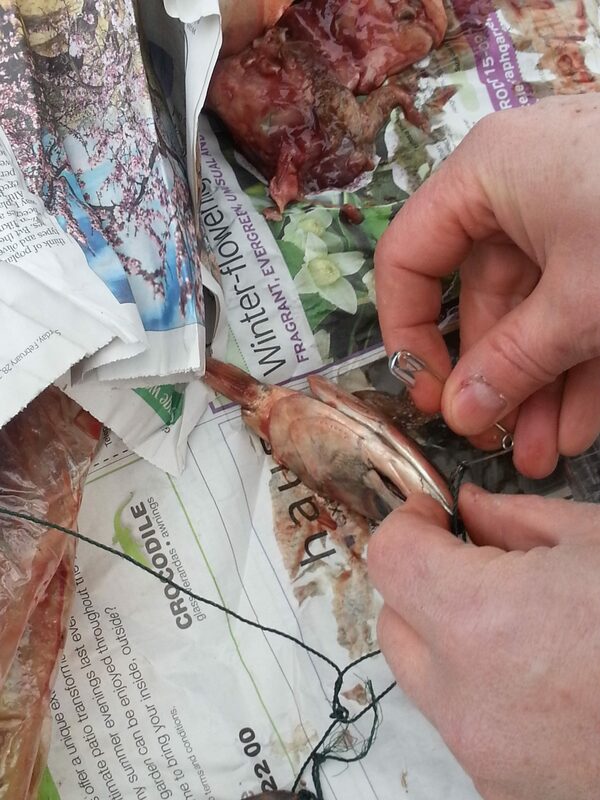 Fish heads, hearts or bacon are the traditional lures. Armed with your equipment you secure the bait onto the line with the safety pin, throw the line over the harbour edge and wait. On a good day crabs will soon bite. This is the traditional moment for the Ladies of the party to either sit down and soak up a few rays or on a cold day head for the many purveyors of stripy jumpers available on the High Street. Our search for the perfect stripy jumper proved fruitless on this occasion, so we headed back to the hunters hoping that they had had more luck. We found four cold children, two Dad’s and no crabs. Still there’s always next time and maybe a change of venue. Blakeney and Warbleswick have never been known not to yield up at least one crab. 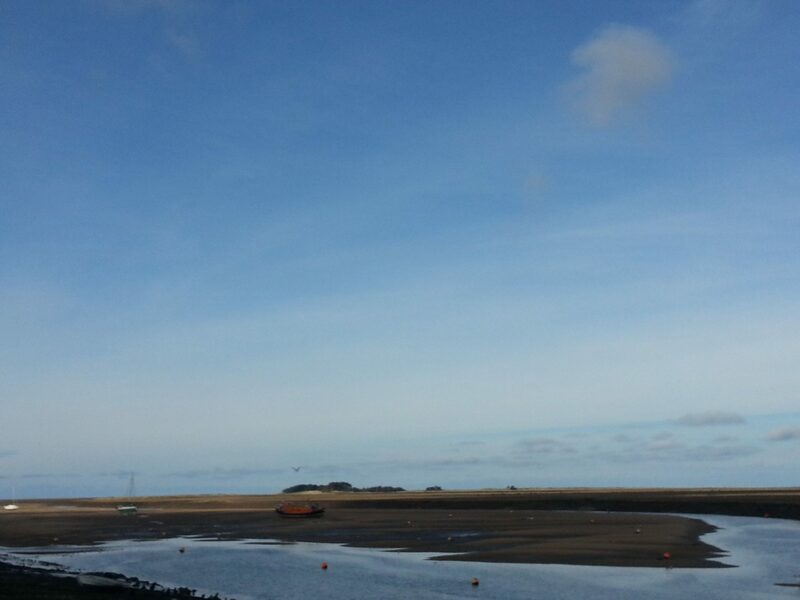 Our visit to Wells-next-the-Sea was a day trip this time but in the past we have stayed in the Youth Hostel and found it to be a fine place for a family seaside break. Ah, we were unlucky with our first crabbing expedition in Ilfracombe last year so we’re going to have to try again at some point. I’m adding North Norfolk to my bucket list too. Thanks so much for linking up to Time Traveller, you’ve reminded me to dig out our crabbing kit ready for our next travels. When it works it’s fabulous! I’ve never been crabbing, maybe it’s just a south East England thing? I’m assuming we could still try it up here in Scotland, not sure where the best place to try is though, we don’t have the traditional promenades and piers. Probably why crabbing isn’t common here? It looks fun though and even better when you actually catch some crabs! Crabbing is one of the big perks of being a parent! Catching something is a bonus but very popular with or without actual crabs!